Commander-in-Chief of Defence Services Senior General Min Aung Hlaing received a delegation led by Chairman of Myanmar-Belarus Military Technological Cooperation Joint Commission of Belarus and First Deputy Chairman of State Military Industrial Committee of the Republic of Belarus Maj. Gen. Igor Demidenko at the Parlour of Bayintnaung Villa, here, this afternoon. 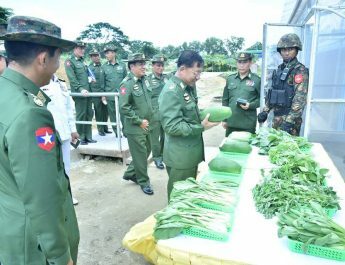 Also present at the meeting together with the Senior General were Deputy Minister for Defence Rear-Admiral Myint Nwe and senior military officers. 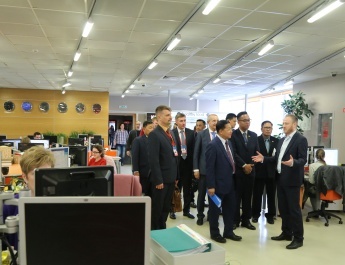 The Chairman of Myanmar-Belarus Military Technological Cooperation Joint Commission of Belarus was accompanied by officials. 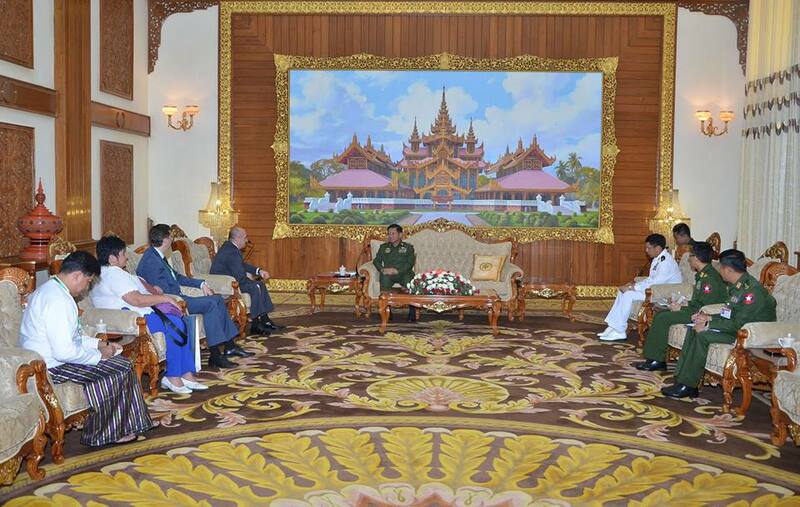 At the call, they cordially exchanged views on promotion of cooperation in military technology between the two armed forces of Myanmar and Belarus, connection with relevant departments for conducting non-military technological cooperation, and further cementing relations between the two countries through relations between the two armed forces. 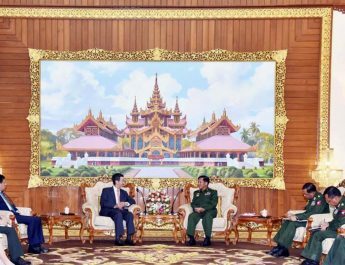 After the meeting, the Senior General and the Chairman of Myanmar-Belarus Military Technological Cooperation Joint Commission of Belarus exchanged commemorative gifts.